Ben-Hur is probably best known for the 1959 William Wyler adaptation starring Charlton Heston, but I'll be the first to admit I've never made it all the way through Wyler's three and a half hour adaptation of Lew Wallace's classic epic. I've seen bits and pieces and feel like, once upon a time, I even almost finished it, but at this point I was so young I hardly remember the specifics and have no right to form any kind of opinion on it and so it seems I will need to correct that before the end of this summer as we now have director Timur Bekmambetov (Wanted, Abraham Lincoln: Vampire Hunter) trying his hand at adapting Wallace's novel. 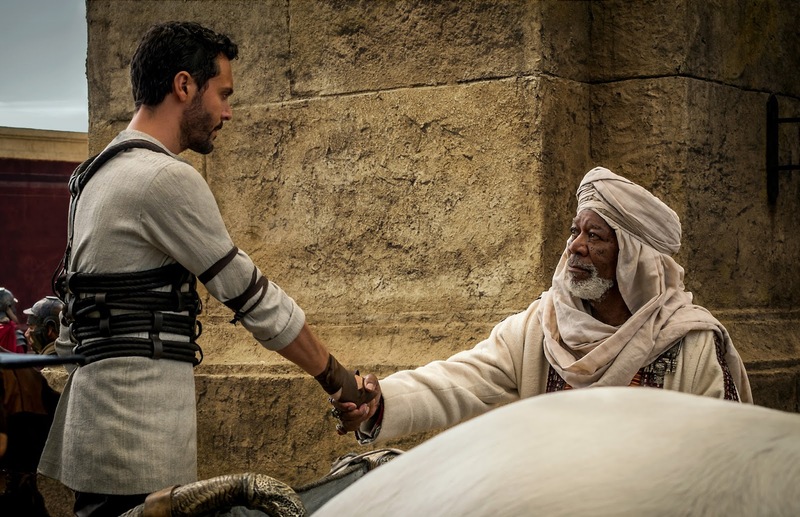 The story, which tells of a falsely accused nobleman who survives years of slavery to take vengeance on his best friend and brother who betrayed him, looks to have been streamlined as Bekmambetov has already said his film will not reach the lengths of Wyler's. The central focus looks to be the classic chariot race that, at the very least, should be visually enthralling given the directors past work. Still, the film more or less looks like what I expected the film to look like and will undoubtedly make little impact when it arrives late in the summer movie season. I'm not counting the film out solely based on the trailer, but the mash-up of Gladiator styled visuals and Roland Emmerich seeming substance doesn't bode well for the final product as we've seen countless imitators of Ridley Scott's sixteen year-old film come and go each failing to live up to their influence and I expect Ben-Hur to do the same, never mind trying to recapture the Oscar glory of Wyler's Best Picture winner. This new Ben-Hur stars Jack Huston, Toby Kebbell, Morgan Freeman, Rodrigo Santoro, Nazanin Boniadi, Ayelet Zurer, Sofia Black D’Elia and opens on August 12, 2016. 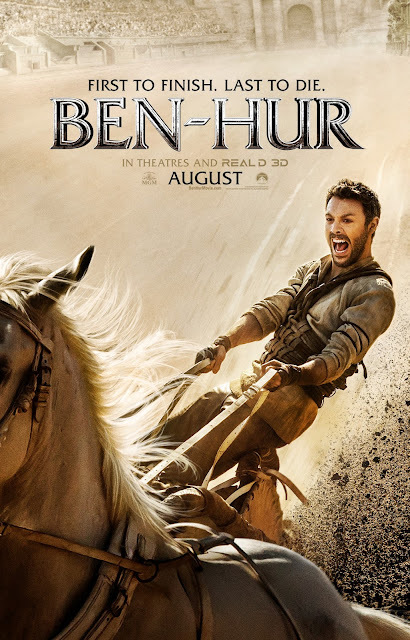 Synopsis: BEN-HUR is the epic story of Judah Ben-Hur (Jack Huston), a prince falsely accused of treason by his adopted brother Messala (Toby Kebbell), an officer in the Roman army. Stripped of his title, separated from his family and the woman he loves (Nazanin Boniadi), Judah is forced into slavery. After years at sea, Judah returns to his homeland to seek revenge, but finds redemption. Based on Lew Wallace’s timeless novel, Ben-Hur: A Tale of the Christ. Also starring Morgan Freeman and Rodrigo Santoro.